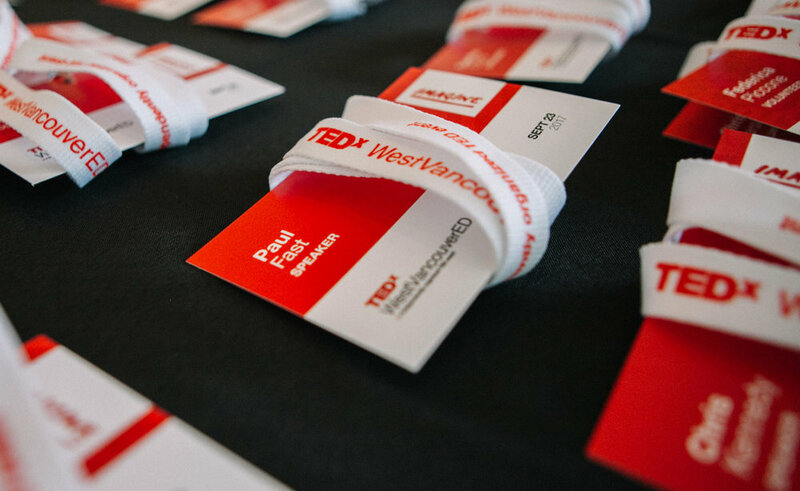 TedX West Vancouver is an event run by passionate educators, who bring people from diverse backgrounds from the local and surrounding areas together to share experiences. 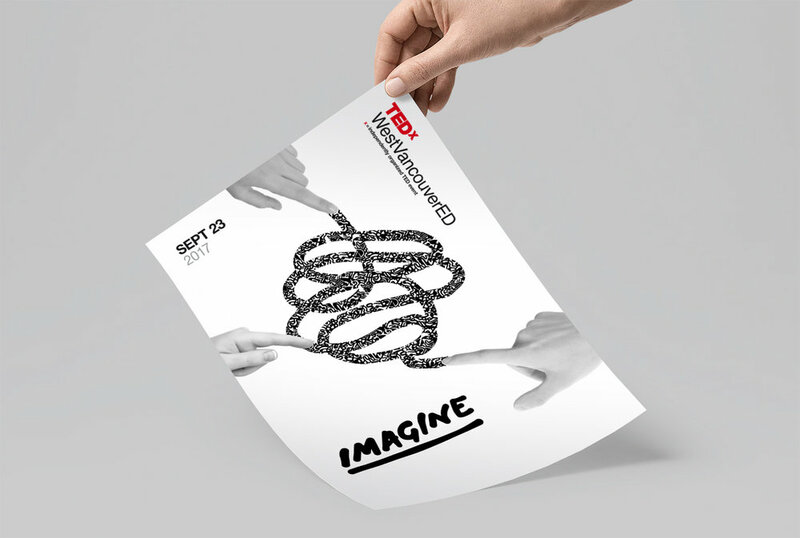 The 2017 event “Imagine” focused on unique and creative ideas that would help shape the future. In an intimate setting at the Studio Theatre in West Vancouver. 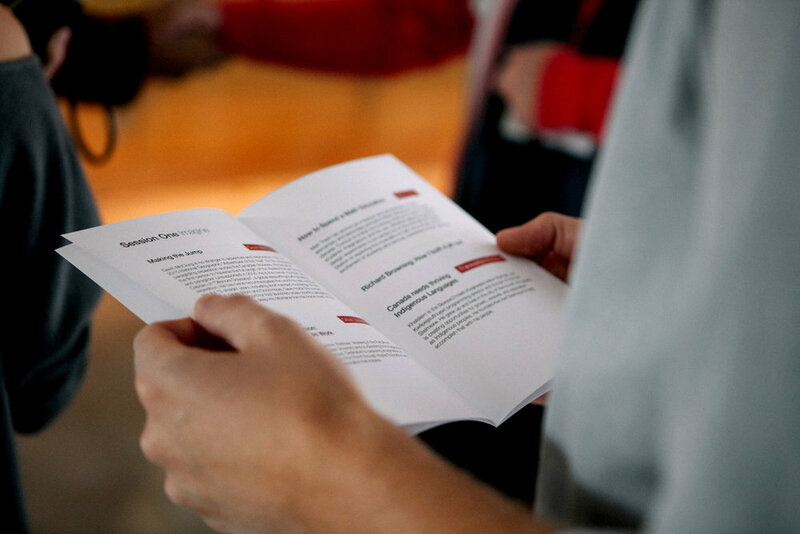 The program included 14 speakers spread over three sessions, with two break out sessions for participants and audience members to be involved in the topics presented. 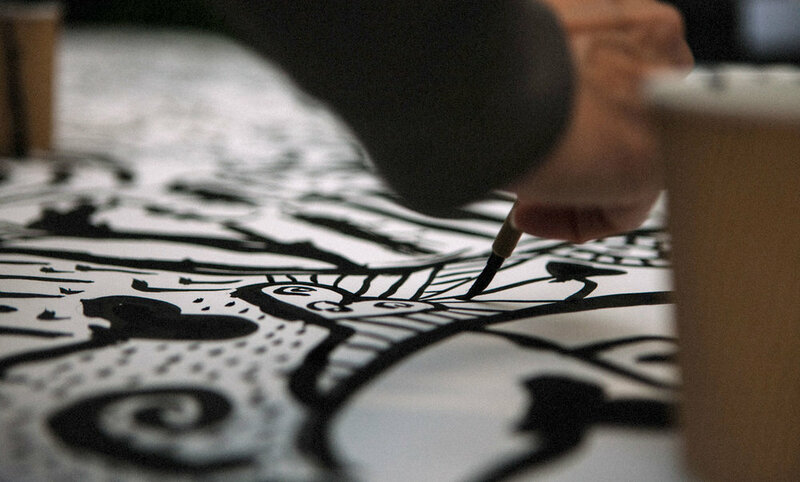 On offer was the Socratic Circle session, and the Sumi Ink collaborative drawing session. The Socratic Circle, a formal discussion in which the facilitator asks open-ended questions. Encouraged participants to listen, think critically, and articulate their own thoughts and their responses to the thoughts of others. The Sumi Ink collaborative drawing sessions allowed dialogue to flow through the simple act of drawing. This breakout session was the inspiration behind the stage and graphic design of the event. The banners flanking the stage were made from a collaborative drawing session with event organisers and the 14 speakers. Drawing together is a means to open and fortify social interactions that bleed into everyday life. Everyone is invited, all ages, all styles, all humans. Over the course of the day two large blank sheets of paper were filled with drawings. These became a memento of the event for everyone involved. West Vancouver, British Columbia, Canada. Design by Femi Coppi. Stage Design by Femi Coppi and Federica Piccone.